Photoreceptors and retinal pigment epithelial (RPE) cells, two adjacent cells types of the outer retina, interact with each other functionally in numerous ways. Maintenance of permanent retinal adhesion and cyclic phagocytosis of shed photoreceptor outer segment fragments (POS) by RPE cells are two forms of these interactions that are crucial for vision. RPE cells form a polarized monolayer and extend apical microvilli that ensheath photoreceptor outer segments. Outer segments consist of stacked membranous disks containing the phototransduction machinery and are permanently renewed. 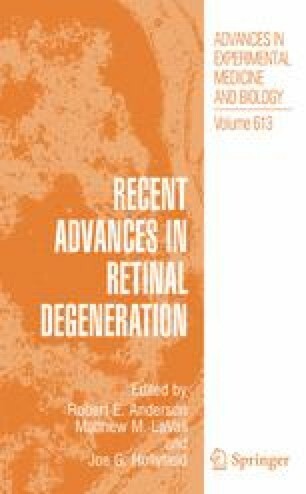 To maintain constant outer segment length photoreceptors eliminate their most aged tips by daily shedding (Young, 1967), which precedes a burst of phagocytosis by the RPE that efficiently clears POS from the subretinal space and recycles many of their components (Young and Bok, 1969). POS shedding and subsequent phagocytosis by RPE cells are critical for photoreceptor cell function and long term survival.